Status Change or Visa change is a immigration procedure to change the current visa to employment or family residence. This visa bulletin covers the above process in Dubai. If the Employment Visa applicant is currently inside UAE on a Visit Visa or his previous visa is cancelled and did not exit from the country, the applicant has to complete the following procedures for changing his/her visa status . 1. Firstly you have to make an application for new Employment Visa by paying Dhs 1020 (plus Dhs 30 typing charge) as fees for issuance of visa inside the country. This amount can be paid online at typing centers or at the Immigration counter in cash. 2. After issuing the employment Visa you have to pay Dhs 540 at typing center and make a status change application. The original Passport, new Visa, current Visit Visa (if any) are required along with this application. Status change should be done before the expiry of visit visa or grace period (if your visa is cancelled and waiting to exit UAE). After status change only the applicant's file will be transferred to the new sponsor. FINE: If the delay is occurred by he applicant, then a fine of AED 25 per day should be paid at the time of status change application at Immigration counter. If the applicant is on Visit Visa, fine amount may be different. Medical can be done only after status change. If you need to transfer your current visit or cancelled visa to Residence Visa, AED650 extra payment should be made to get visa issued inside country. You can select to pay at typing centers or Immigration counter. 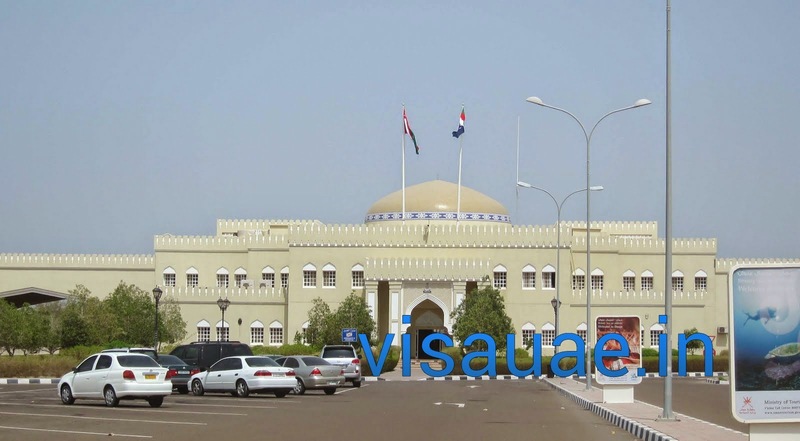 After issuing the Residence Visa AED 540 payment should be made for status change application. The. original Passport, new Visa, current Visit Visa (if any) are required. Status change should be done before the expiry of visit visa or grace period (cancelled visa holders waiting to exit or new residence). The applicant's file will be changed to the new sponsor only after completing this process. FINE: If the application is delayed, AED 25 per day fine should be paid at the time of status change at Immigration counter. If the applicant is on Visit Visa, fine amount may be different. Medical test can be done only after status change. • Status Change can be done to Family Residence Visa, Employment Visa and Investor/Partner Visa. • Tourist Visa holder cannot change status to Family/Residence Visa, Employment Visa and Investor/Partner Visa. • Tourist Visa holder must exit to any neighbor/home country and enter on new visa. Fly Dubai, Air Arabia arrange Dubai-Oman-Dubai service for Visa Change. • Infants and old aged people can apply for continuous Visit Visa and change status from Visit to Visit without exit the country. There is no online application for this type of status change and fees Dh650 to be paid in cash at Immigration counter. This Multiple Visit will be issued on humanitarian basis only and with special approval from Entry Permit Section Director at GDRFA-D.
A: No, Tourist Visa holder must exit to any neighbor/home country and enter on new visa. Fly Dubai, Air Arabia arrange Dubai-Oman-Dubai service for Visa Change. How much employment visa transfer cost from one employee (who is going to cancel) to another new one?? ?